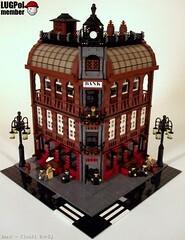 Brick Town Talk: Kris_Kelvin's buildings - LEGO Town, Architecture, Building Tips, Inspiration Ideas, and more! hey where did your latest posts go? 1. The news of the new model was deemed an early leak and removed because we do not publish leaked set info. 2. The news of the new model was made up and was deleted to prevent confusion. Of course, there's a chance that neither of those guesses are right. Just wait, maybe some pictures will be available after this weekend. 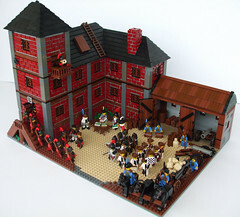 Brickfest in Portland is this weekend so we can hope something is made public.